The 2016 Toyota Prius is an amazing economical vehicle. Would you love to save even more money? Then consider a used Toyota Prius! At Toyota of Fort Walton Beach, you can rest assure that their certified used cars pass multiple tests and run as if it were new. Located at 1006 N. Beal PKWY, Fort Walton Beach, FL, Toyota of Fort Walton Beach serves Pensacola, Panama City, Wright, and Navarre, FL. Features include Hybrid Synergy Drive, Fuel economy and low emissions, three drive modes, daytime running lights and LED headlights, smart key system, remote air conditioning, and dynamic radar cruise control, a rear spoiler, power tilt/slide moonroof with solar powered ventilation system, integrated fog lights, LED tail and stop lights, air-conditioning with air-filtration, Entune Audio with 6.1 LCD touch screen, AM/FM/ CD player with MP3 playback, six speakers, with Bluetooth wireless technology, display audio with navigation, fabric-trimmed front seats, 60/40 split fold-down rear seat, cruise control, leather-trimmed shift knob, Analog instrumentation with speedometer, remote keyless entry system, power windows, power door locks, day/night rearview mirror, front seat map lights, dual glove compartment, cargo area light, two 12V auxiliary power outlet, four cupholders / two bottle holders, and cargo area tonneau cover. At Toyota of Fort Walton Beach, you can count on the technicians to ensure your used car is certified to be amazing. 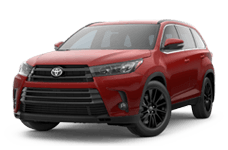 To become certified, cars undergo a 160-Point Inspection, Free Carfax Report, 12-month/12,000-mile comprehensive warranty, 7-year/100,000 mile limited powertrain warranty, 1 year of roadside assistance; warranty honored at over 1,400 Toyota dealers in the U.S. and Canada, and Trouble-free handling of your transaction, including DMV paperwork. Talk about benefits of an amazing dealer! Financial assistance at Toyota of Fort Walton Beach is pretty simple! Simply go online to their website and fill out an application. Applying for a loan does not cost you a thing, you get your automotive credit score, and it doesn't affect your score! 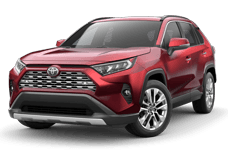 Whether you have excellent, fair, or no credit Toyota of Fort Walton Beach will offer you support to ensure that you leave with a used Toyota today! 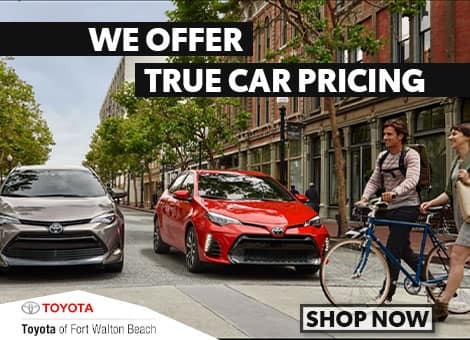 Come to Toyota of Fort Walton Beach for your used Toyota Prius today! At Toyota of Fort Walton Beach, customers are leave happier than when they came! If you’re looking to save money, check out the used Prius, you’ll find lots of ways to save money with this vehicle and go places!